Interesting article on video modeling. The movement to go visual and stop relying exclusively on verbal teaching methods is one I think you all know I strongly believe in. Think about how you might use video modeling to teach your child a new skill (like introducing himself to a friend before a play date, or entering a classroom on the first day at school). Then try it out with a short video. Editor’s Note – The following article was written by Amy F. Hobbs, Training Coordinator with the Autism Society of North Carolina. Research shows that video modeling is an effective strategy to use with individuals with Autism Spectrum Disorder to improve social and communication skills. As a trainer, I frequently emphasize the importance of showing children with autism what you want them to do as opposed to just telling them. Verbal directions are typically difficult for individuals with autism to process as their visual processing skills are more advanced than their auditory processing skills. Video modeling or the process of instructing through watching a model therefore provides an excellent opportunity for students to actually see the behavior or the skill that is requested and therefore better understand it. Aside from the therapeutic benefits of exercise, we also need to consider the more widely known physical health benefits. Dropping levels of physical activity and a sharp increase in sedentary behavioral (video/computer games, television, etc) are quickly becoming behavioral norms for children, teens, and young adults. As a result, late onset adult conditions are now being found in children. According to the Center for Disease Control and Prevention (CDC) “Regular physical activity in childhood and adolescence improves strength and endurance, helps build healthy bones and muscles, helps control weight, reduces anxiety and stress, increases self-esteem, and may improve blood pressure and cholesterol levels”. The comprehensive physical and emotional benefits cannot be denied. 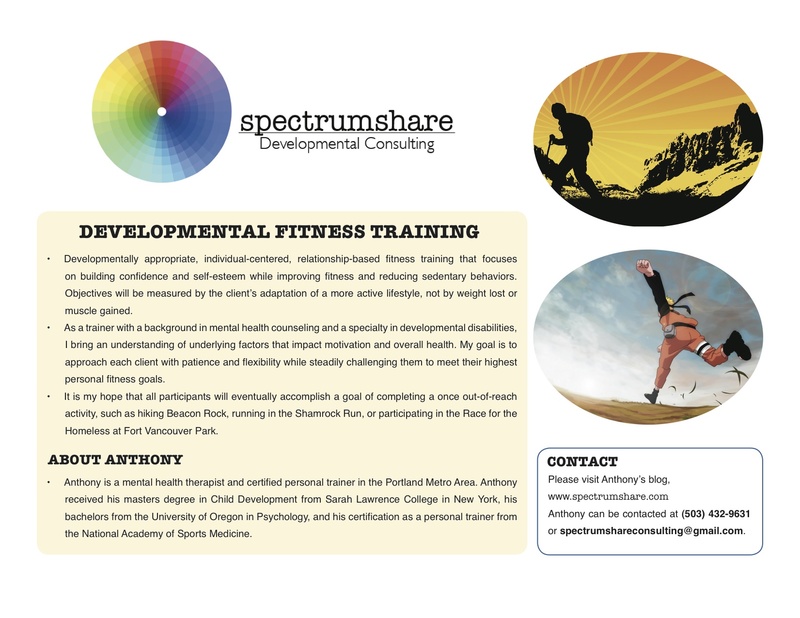 You can get in touch with me for more details about Developmental Fitness Training by viewing the contact info section on the flyer above. The following is a helpful article on how to set homework goals, routines, age-appropriate time expectations, and manageable incentive plans to help your child complete homework. The author really lays everything out nicely – not just leaving you with a good concept that you cannot implement. If other parents have good suggestions for how to overcome/better manage the dreaded homework time, PLEASE leave these suggestions in the comments section. 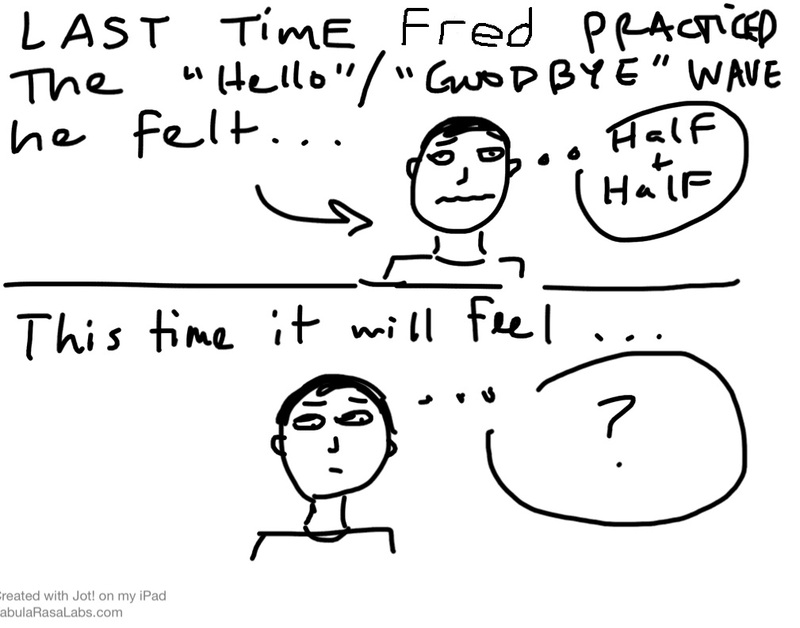 Currently, I am working with a young man named “Fred” who is struggling to engage with new people. In particular, he is fearful of participating in basic greetings like “Hello” and “Goodbye”. This refusal has obvious interpersonal consequences. 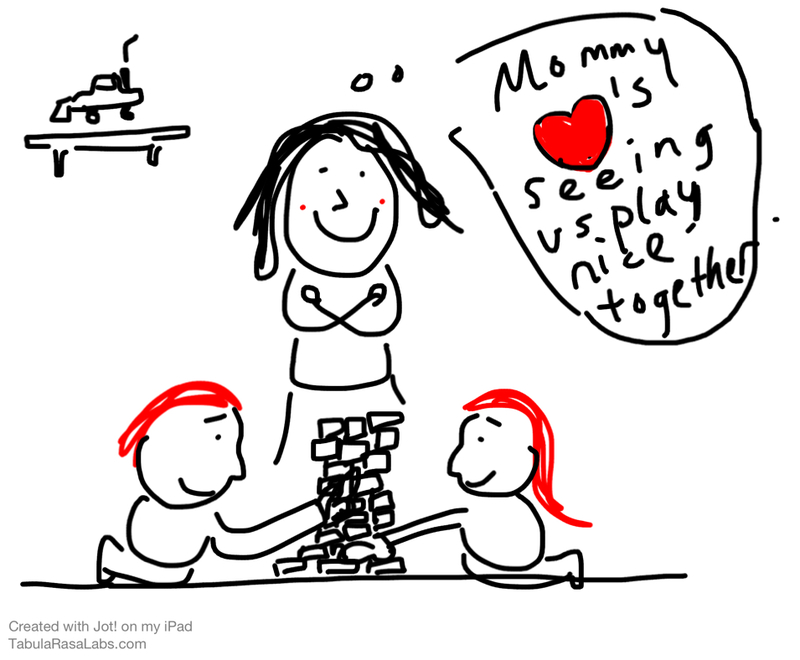 I have created the following social story (this is our second trip to 711), which I will give to the family to review a few days before our session. 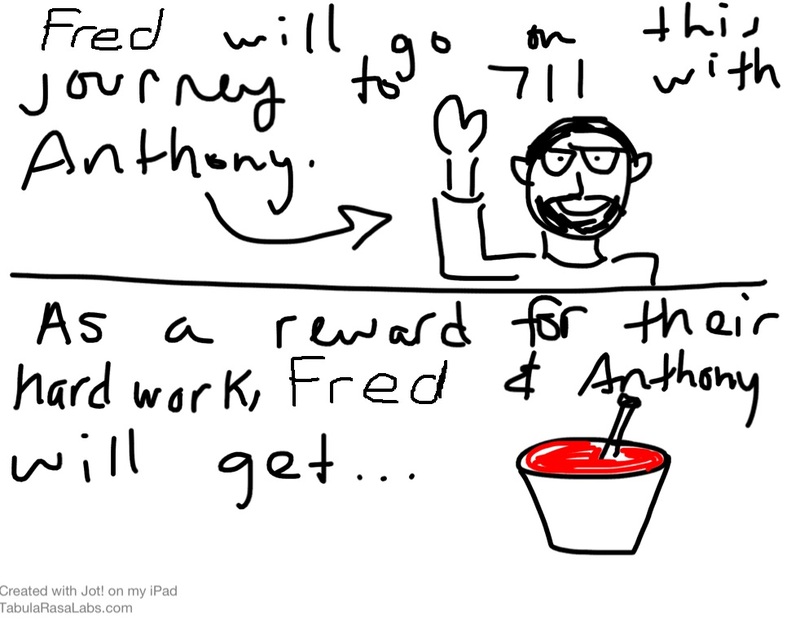 Upon our return from our last trip, Fred and I cartooned the way we felt during the interaction with the 711 clerk. Fred shared that it felt “Half and Half” which he later explained meant, “not terrible but not so comfortable”. The progress last week was eye contact with the clerk and and pinky wave 🙂 (i’ll take it). This week we’re going for a full hand wave and maybe even a quiet “Hey”. The intention of this preparatory social story is to help Fred to know “what’s coming” and to provide him with a plan that he can rely on. 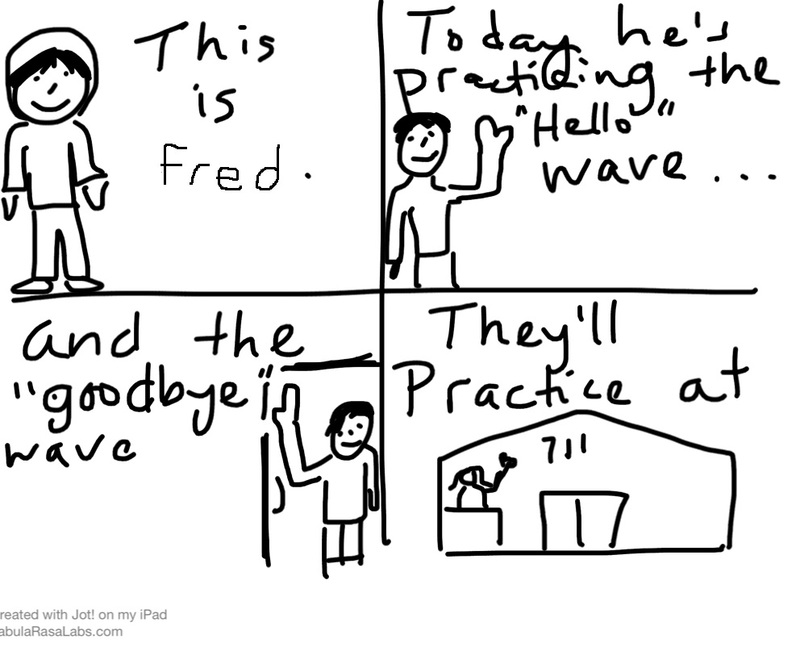 In addition, by allowing for many different forms of greetings (like the wave instead of the vocalized “hello”), I am allowing Fred to gradually gain comfort with the complexness of the greeting process. Check it out. 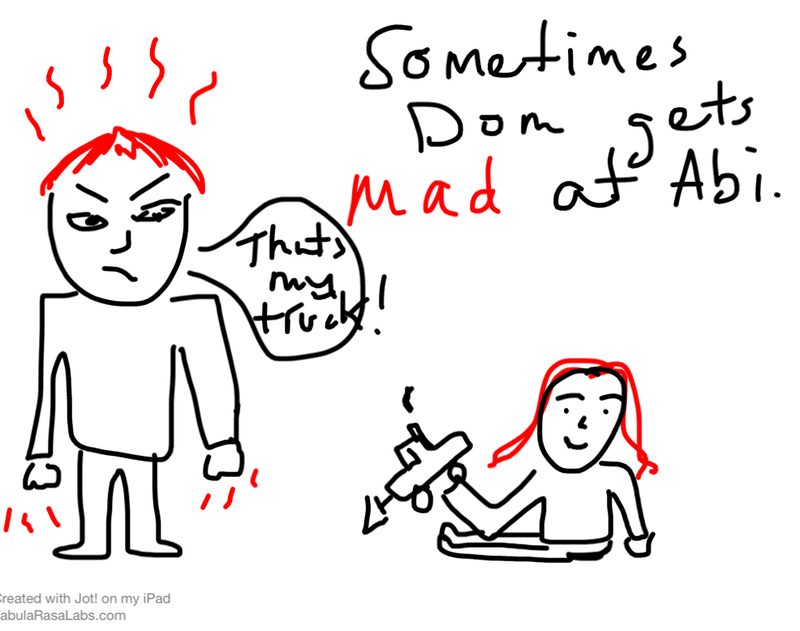 Again, this whiteboard application can be downloaded for FREE on tablets (It’s called “JOT”). Executive functioning, visual mapping/planning, anxiety, and inflexibility. It’s all covered in a wonderfully easy to read peice by Jennifer O’Toole in this post. Make Your Own Social Stories: Great FREE App. 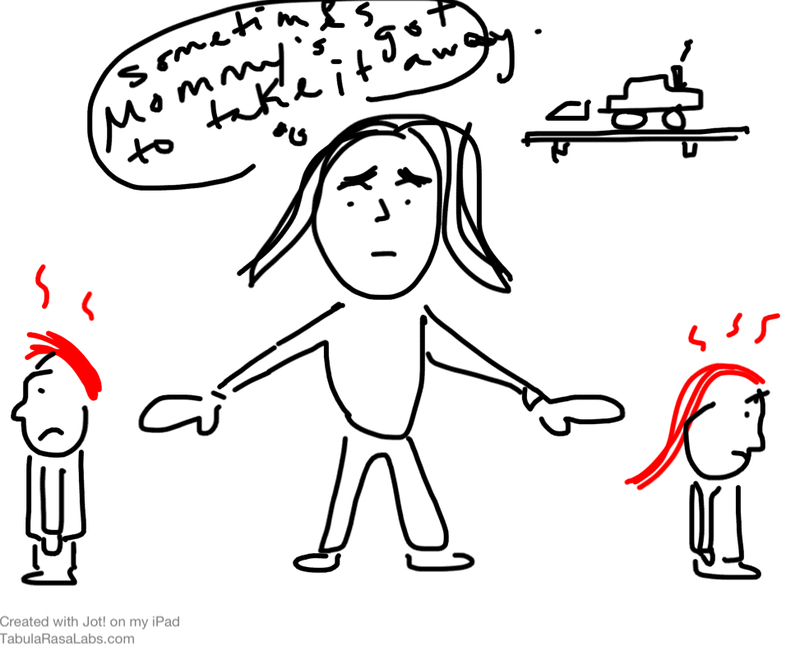 The story below illustrates a very basic interaction between a brother and sister that always results in the loss of something desirable (toy). Having this simple script available for review can help your child more easily process what occurred that caused an undesirable result (and also help him begin to predict what will happen in the future if the behavior occurrs again). This story does not have alternative behaviors. 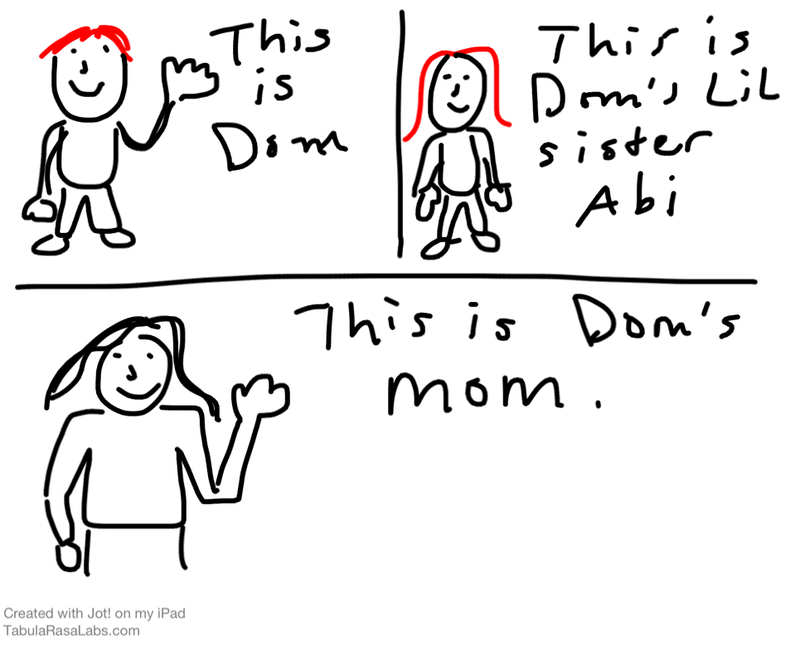 After reviewing the simple sequence of events that took place, I suggest creating another story where you and your child identify alternative and prosocial options). 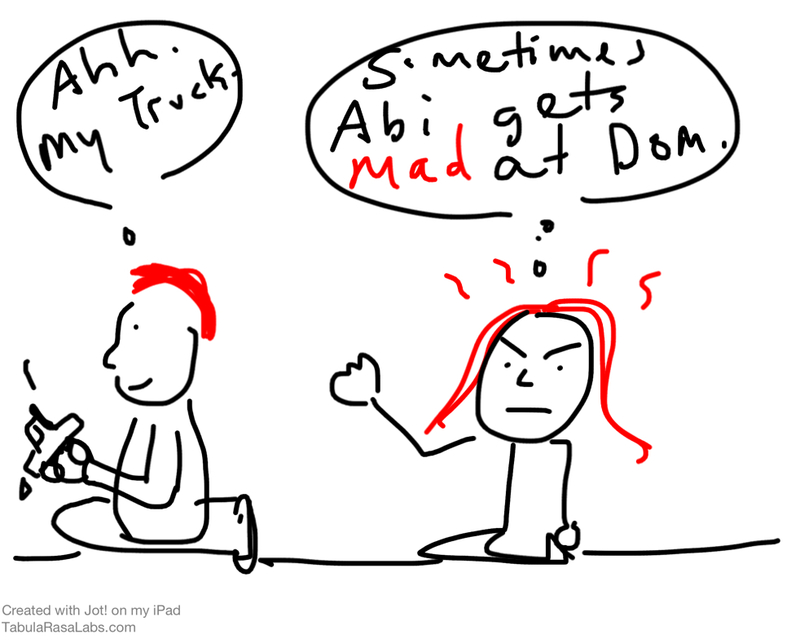 Maybe the alternate behavior could be “Dom” going to his safe space to take a break with the Nintendo DS – this would then be illustrated and added to the story.